Naomi Mohammed and Tianna Richardson have been playing lawn tennis since they were three-years-old. The dynamic duo come from tennis-playing families. 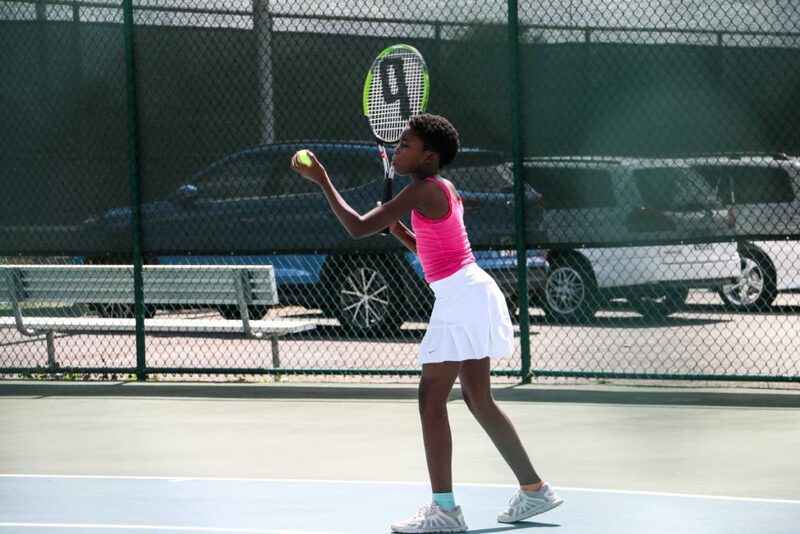 Naomi’s mom is national tennis player Shenelle Mohammed, and Tianna told Newsday Kids that whenever she visits her tennis-playing aunt, Laura duPount, they play tennis all day. The Point Fortin Roman Catholic School students are friends on and off the court. 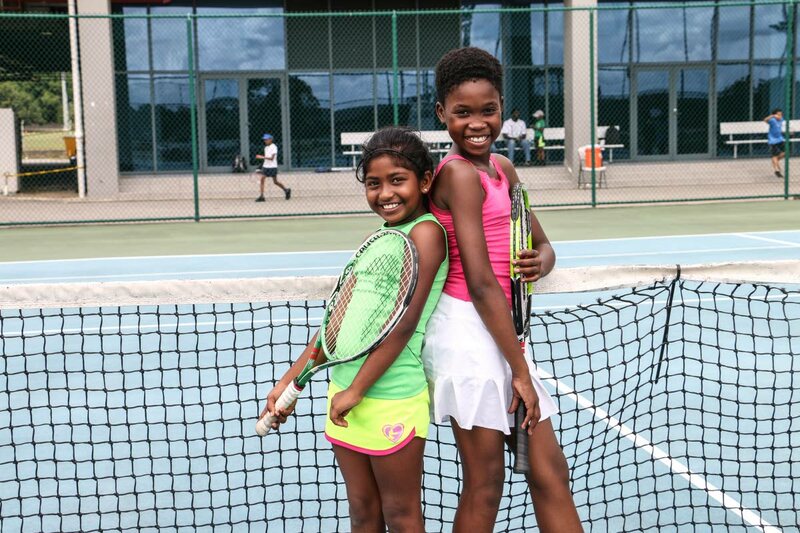 Naomi Mohammed wants to be a tennis champ like her mother, Shenelle Mohammed. But even with their lineage, these girls are blazing a trail of their own. 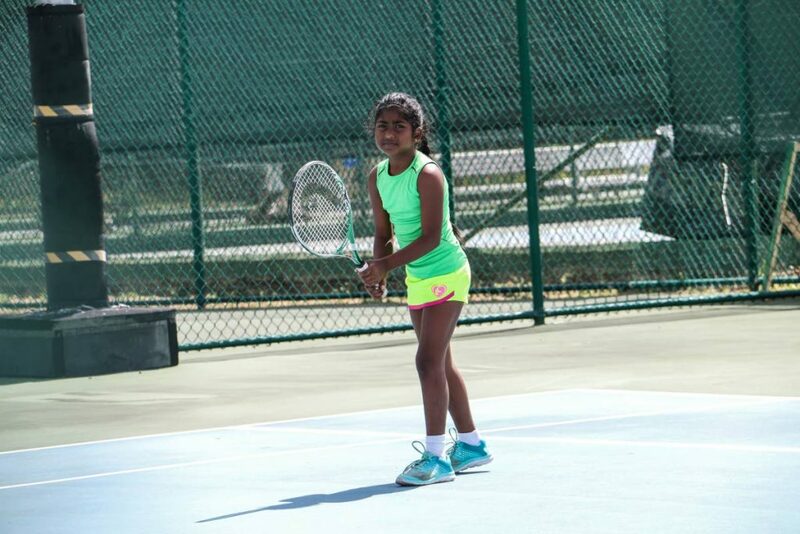 Both ten, they participated in the Red Ball Girls Ten Plus category at a tournament hosted by the TT Tennis Association, on January 27, at the Eastern Regional Sporting Complex, Tacarigua. It was the first time that they paired for a competition, but they clearly make a good team. They were very confident about the tournament, but for them it’s less about the competition and more about the experience. “You’re always meeting new people,” Tianna said. “Win or lose it’s a learning experience,” she added with a smile. Although they are in standard four, the girls are already focused on preparing for their SEA exams next year. Balancing school work and extra-curricular activities is never easy, but with proper time management, they make it work. Naomi explained that after school she has lessons and after that, once there is time, she practices her tennis for a bit. Tianna has a lot more on her plate, having to juggle school, pan, tennis and track and field. She explains that it’s hard for her to choose which she likes best, but for now her focus is on tennis. Tianna Richardson gets ready to serve. The girls have high hopes for secondary school they want to attend. “Naparima (Girls College)!” they said, in unison when asked about their first choice. “It’s the best school in south,” said Tianna, and Naomi emphatically agreed. While Naomi wants to be a tennis champ like her mom in the future, Tianna has her heart set on being both a doctor and a tennis star.